In discussions about autonomous driving, it’s easy to fall into a trap of defining the technology with a broad brushstroke. But there are explicit differences between something as simple as “semi-autonomous” (what we have on the road toady) and “autonomous” (what carmakers want on the road by next decade). This video from BMW helps explain the important distinctions. For the most part, what’s on the road right now can be defined as Level 2 (think Tesla’s Autopilot, for instance). As you can see, and as the video below conveys, Level 5 is full-on submission to robots. 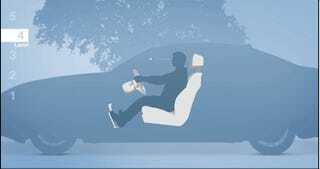 So if you want to brush up and fully understand how autonomous driving functions, take a look at the video below. It’s an extremely concise and helpful explanation of where things stand and where they’re headed.